There’s something really special happening at the Theatre Centre right now. Actually, there are two (soon to be three) special things happening at the Theatre Centre right now. 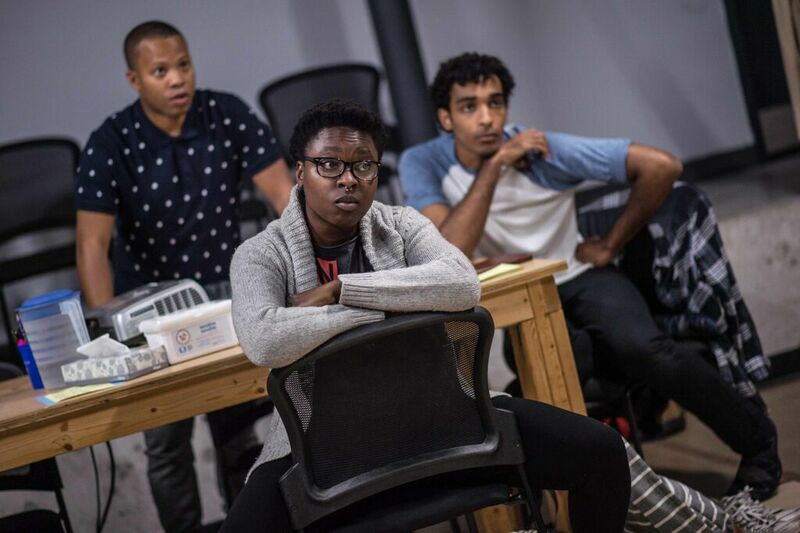 They are the productions that make up Why Not Theatre’s latest theatrical experiment and I can’t say enough about them, or it. The November Ticket is an incredible innovation, packaging three productions under one banner at a single ticket price, guaranteeing the producers the income of a higher-priced ticket ($60 for three, $50 if you’re crazy and only want to see two of the shows) but offering the consumer the value of a lower-priced ticket (the fact that the price of each show works out to only $20 is insane when you consider their quality). The three very different productions are being marketed together with a uniform poster design that highlights their differences and captures the essence of each play as perfectly as a single shot ever could. 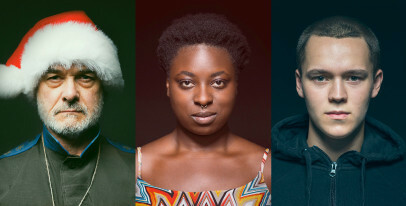 John Koensgen (Butcher), Khadijah Roberts-Abdullah (We Are Proud to Present…) and Liam Sullivan (Late Company) appear on buses and benches side by side by side- a marketing feat likely not possible for any of the productions if they were produced alone- selling The November Ticket to Toronto beyond the Theatre Centre’s niche market, not as a uniform night at the theatre but as three separate pieces of art that together represent a larger landscape than a single ticket ever has before. I’m obsessed with the idea (even more impressed than I was with Why Not’s other new model they premiered this year, the resource-sharing Riser Project) but the reason The November Ticket is working is that, at least so far, it’s batting 1.000 with the productions your $60 buys you. 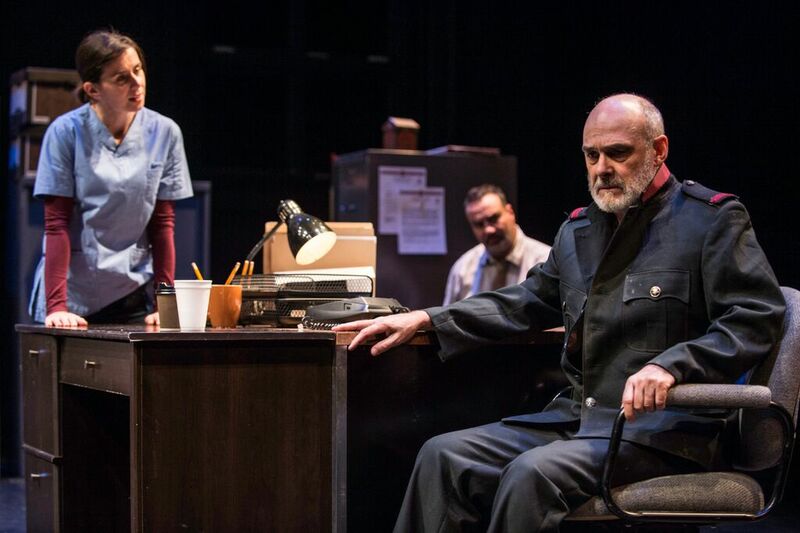 The first play of the three is a shocking tour de force one-act with a stellar cast and a riveting plot that unfolds with genuine surprise (a very rare quality in this twist-saturated market). John Koensgen is strong and subtle as a mysterious man dressed in an army uniform dropped off at a police station on Christmas Eve. The incomparable Tony Nappo is the detective on duty who has to deal with him, with the help (and sometimes hindrance) of Andrew Musselman as a wishy washy lawyer and Michelle Monteith in her most riveting performance to date as a brash young translator. The whole cast is fantastic but it’s Nappo’s complex and moving portrait of a man who just wants to go home that grounds the play and makes its heartbreaking examination of human cruelty bearable through to its final unnerving moments. Khadijah Roberts-Abdullah has a remarkable stage presence. She’s commanding, smart, relaxed and surefooted. As she kicks off the “introduction to the overview that will preceded the presentation” that begins this informal, semi-immersive, layered-narrative, “is it theatre just because it’s happening in a theatre?” production, that presence gives the audience a reassuring sense of everything being well in hand; nothing to worry about here. The story of how the play-within-this-play (though neither is really classified as a “play”) falls apart is, in a lot of ways, the story of how even the most commanding, smart, relaxed and surefooted person in the world can’t grapple with these issues and keep everything in hand. Everything will always fall apart, because we’re all too imperfect to have this conversation. But we should still have it, no matter how many times it falls apart. I don’t even know what else to tell you about We Are Proud to Present… beyond the fact that the other five ensemble members (Brett Donahue, Marcel Stewart, Brendan McMurtry-Howlett, Michael Ayres and Darcy Gerhart) match Roberts-Abdullah beautifully in their bravery, commitment, openness and skill. Jackie Sibblies Drury’s text is an incredible leap into the endless pit of grey area that is race relations and how we tell our own history. One of the production’s most stirring monologues (delivered brilliantly by McMurtry-Howlett as an old black woman, as bizarre and not-okay as that sounds) describes how you can walk a mile in another man’s shoes but, ultimately, “they aren’t your shoes” yet Sibblies Drury gives each of her six distinct characters a strong, valid point of view. Even as they offend, belittle, discount and challenge each other in their pursuit of art worth making, there are no bad guys here. Just people who showed up at the table to have the conversation. Even as the exercise ends in stunning silence, one gets the sense that these artists will be back at the table tomorrow, ready to grapple with it all again. I’ll update this article in a few days when I’ve seen Late Company but both Butcher and We Are Proud to Present… are incredible, unmissable artistic works, each of which alone is worth a $60 admission price. The fact that you can take in all three for that one price is an amazing gift Why Not and the Theatre Centre are giving to Toronto. Make sure you don’t let it pass you by. Two out of three isn’t so bad. I was really hoping it’d be a full sweep, though. The final show in The November Ticket came out of the 2013 SummerWorks festival where it was one of the few widely beloved plays that I didn’t manage to see. I’d always regretted missing it so, at the very least, this production puts that regret to bed. 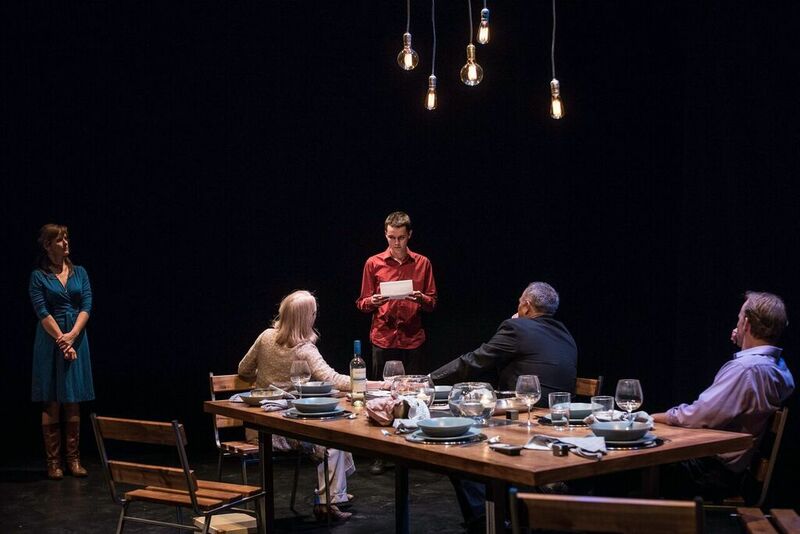 Written by Jordan Tannahill and directed by Peter Pasyk, Late Company plays out in real time as two families collide over one incredibly ill-advised dinner party. I found the acting either wooden or obvious and the writing clunky (“my husband has always been more interested in spin than the spin cycle”) but my real concern with this play is that it just feels forced. It’s as though Tannahill recognized that a planned meeting between the parents of a boy who committed suicide and those of the boy who bullied him (and, in their view, is almost wholly to blame for his death) would be complex and moving, so he set out to dramatize that meeting. But at no point in the play does it feel realistic that these people would actually do this to themselves. Where are their self-preservation instincts? How could it possibly take them 70 whole minutes to put an end to it? Late Company feels manufactured to elicit audience response, and it most certainly is incredibly moving, but in my (admittedly minority) opinion, it does so at the expense of believable storytelling.